Getting back to basics with Outlook. They say you never really 100% use a product to its full potential and often it’s when working with clients who are trying to push boundaries that you truly learn the capacity of a software or hardware product. This has been definitely the case recently as a client is using Outlook to manage their daily tasks within various teams in the company. At my first workplace, we used Outlook to manage email and that was about it. Having returned after eight years from the teaching profession back into using Outlook, I have started to use the tasks and more of Outlook’s cool features. This is what this blog post is all about – using those key features that really can make a difference to your productivity either as a sole trader, running your business or in the corporate workplace. 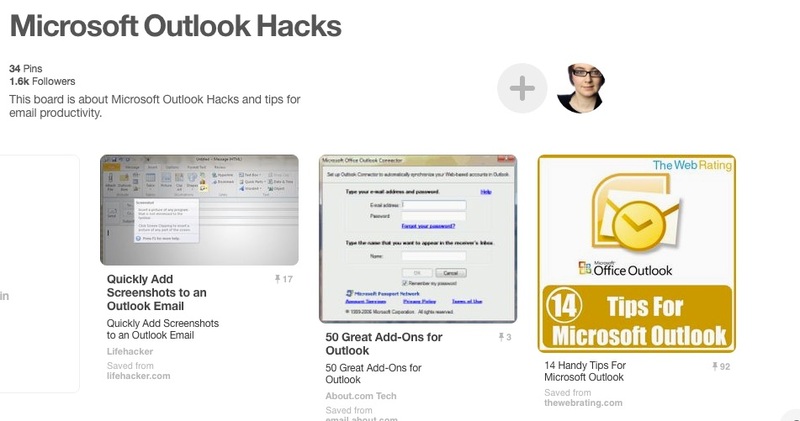 Here is a Pinterest board I have put together on Microsoft Outlook Hacks. Did you know that QuickSteps became a part of #Microsoft Outlook in 2010? It is a great feature which allows you to customise several actions to an email message at the same time. You will find the ‘Quicksteps’ menu in the main HOME menu. There are already some suggestions there as examples (you can delete these) and also the ability to customise them. To forward the message onto certain individuals automatically rather than having to go in and individually do it each single time a certain message has to be passed on. Like with many products on the market, it’s the power of ‘add-ons’ that really can make a difference to productivity for any #SMB owner. Some of these add-ons are free, some of them you will have to purchase. Send Personally: Have you ever wanted to send a message to a group in Outlook, but wanted it customised personally for individuals. You can experiment with this (30 Day Trial) to see whether this is suitable. Otherwise, it is $24 for a single user’s license. Contact Monkey: This app helps you create improved productivity within your Outlook Dashboard. It lets you track who, where and when your emails have been opened. It also offers the feature of sending personalised emails to a ‘Group’ just like ‘Send Personally’. Another cool feature is the ability to delay sending emails at a later time or date. 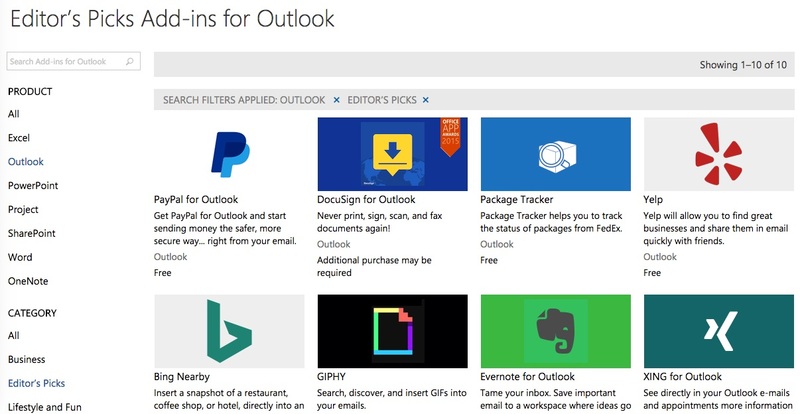 Tip: There are also plugins for Outlook which can be found here. Just like with old-fashioned mail, it’s a good idea to set up a signature for your business. This can include social media icons and even include a disclaimer. Some workplaces will already have templates to set this up. 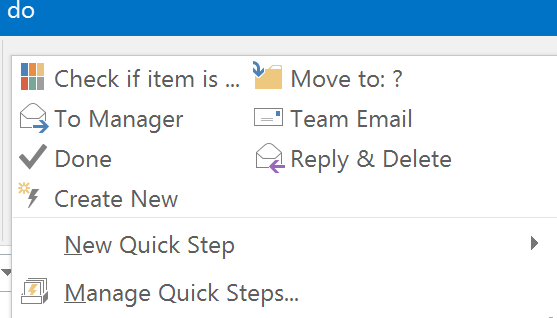 If you are using either Outlook 2013 or 2016 then select File > Options. Choose the Mail tab > Signatures. Select and type in a name for the signature you’re creating. Now enter the details you would like to include with your email signature. Tip: Did you know you can include items like your business logo, handwritten signature (scanned in) and social media links? Here is a link to a video for Outlook 2013 and Outlook 2016 to see how it is done. 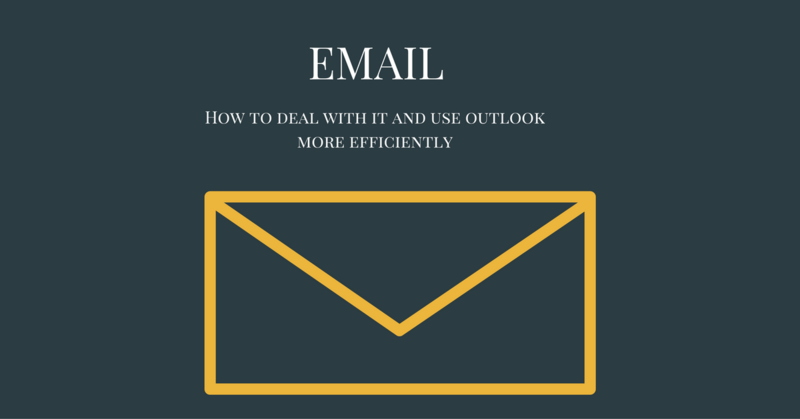 Top Seven Shortcuts for Outlook that can email a breeze! Email productivity is one of the main time wasters in our daily lives. Hope you have enjoyed reading this blog post. Don’t forget to watch some of the videos that I will present via Megan Iemma TV on YouTube. #SurfaceLife What are your main tips for using #Microsoft Outlook?